Welcome to Bridgetown Fort Myers! Bridgetown Fort Myers, located near I-75 and Daniel’s Parkway has quickly become one of the most sought after communities in the area. Centex was the original builder responsible for creating this masterful experience, but Pulte Homes has since taken over. Bridegtown Fort Myers is an upscale gated community with single-family homes and villas and is situated in the master-planned development, The Plantation. Bridgetown Fort Myers is home to an amazing clubhouse, amenity center, fitness center, resort-style pool, 2 billiards rooms and much more. Welcome to VillageWalk of Bonita Springs! CLICK BELOW TO VIEW TOUR OF VILLAGEWALK OF BONITA SPRINGS! 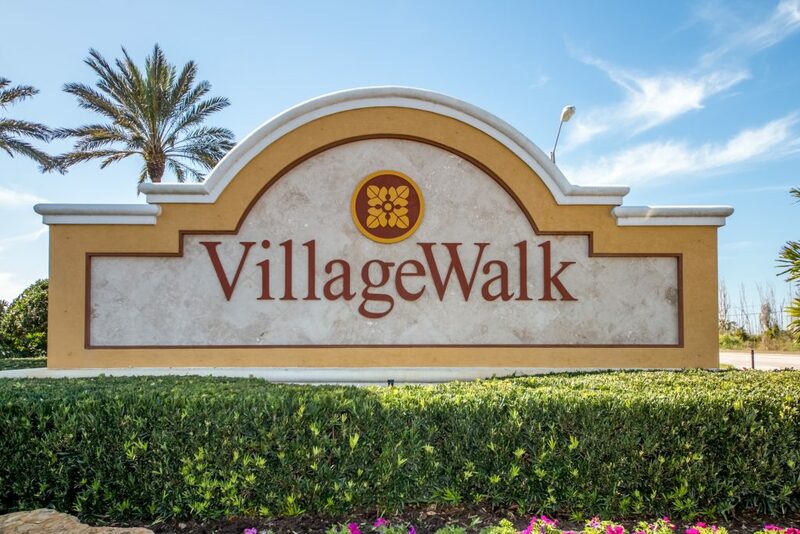 VillageWalk of Bonita Springs is a prestigious, lifestyle community located off of Bonita Beach Road and is within close proximity to amazing beaches and shopping/dining in nearby Naples and Fort Myers. This magnificent community is known for its world-class amenities and low association fees.VillageWalk offers residents a variety of single-family homes and townhomes constructed by award-winning builder, DiVosta Homes. VillageWalk of Bonita Springs was designed to provide all of the necessary conveniences right outside your doorstep. You can find a hair salon, post office, gas station, boutique, cafe and restaurant all within walking or biking distance to your home. The town center is the main hub for the numerous activities offered to residents. VillageWalk features two pools, a clubhouse, tennis courts, a fitness center, basketball courts, a library and scenic jogging paths. This community is also staffed with a full-time activities director that coordinates many of the planned events throughout the year. Resort style living is at its finest at VillageWalk of Bonita Springs. Residents enjoy easy, low-maintenance living all year round. If you want to take advantage of this great opportunity to own a home in VillageWalk, contact us today. Quail West is one of the most prestigious golf and country clubs in Southwest Florida. Located on the northern edge of Naples, Quail West is situated east of I-75 on Bonita Beach Road. Quail West is surrounded by the relaxed, sophisticated Naples lifestyle and is conveniently situated close to beaches, shopping, dining and entertainment. Prominent 5th Avenue and downtown Naples is only 25 minutes from Quail West and features award winning restaurants, cafes, boutiques and a variety of cultural events. Mercato and Coconut Point are just 20 minutes and offer notable restaurants, upscale shops and many entertainment options. Barefoot Beach and its pristine sandy shores are just 8 miles from Quail West and Southwest Florida International Airport is roughly 20 minutes. This prime location has it all. As a private residential community, Quail West offers Mediterranean style custom estate homes, single-family homes and home sites are also available to build a one-of-a-kind custom home. 5 distinctive neighborhoods encompass these luxurious homes within Quail West that are surrounded by two championship Arthur Hills golf courses, lush landscaping and sparkling lakes. Originally started in the late 1990’s, Quail West features some of the largest and most magnificent homes in the area. In 2012 Stock Development acquired the remaining home sites at Quail West. Quail West boasts world-class golf, dining and amenities that are second to none. Two amazing 18-hole Arthur Hills championship golf courses, Lakes at Quail West and Preserve at Quail West, anchor the community and are player-friendly, yet challenging. These courses were flawlessly designed and interweave throughout the lakes, waterways and marshes within Quail West. This luxurious golf & country club also features a grand 70,000 square foot clubhouse. Newly renovated and member-owned, the clubhouse at Quail West is home to three elaborate dining venues offering gourmet and casual dining and it also features a private wine cellar for sampling exceptional wines from around the world. Other amenities at Quail West include tennis facilities with 8 first-class tennis courts and a Director of Tennis that coordinates private lessons, tournaments and clinics. At Quail West you will also find a health and fitness center, a Solarium lagoon-style swimming pool, full service salon and spa and card rooms. Quail West now offers residents the opportunity to join The Club at Barefoot Beach through the Quail on the Beach Club. All of the amenities at Quail West are shared by only 600 members. Quail West is one of the finest golf and country clubs around and offers charm, character and attention to detail that is unsurpassed. Whether interested in a custom estate home, a single-family retreat or a home site to which you can build your dream home, Quail West offers an unmatched opportunity to experience a one-of-a kind golf and country club lifestyle. Take a look at the video to view some of the features and homes within Quail West. Click the video below to begin your 2 cent tour. HOME SITES are available to build your custom home. Inquire HERE for details. NEW CONSTRUCTION opportunities starting at approximately $900,000. RESALES from approximately $900,000 to $8 Million. Below you will find the complete list of homes active on the market within Quail West. If you would like to schedule an appointment to view any of them, you can do so by clicking on the property or by calling us at 239-494-5156. View the Google Map below to get an idea for where Quail West is located within Naples, FL. On this 2 Cent Tour you will discover The Preserve at Corkscrew Estero, a phenomenal new community located just 2 miles East of I-75 on Corkscrew Road in Estero. The Preserve at Corkscrew is just minutes to Coconut Point, Gulf Coast Town Center, Germain Arena, Miromar Outlets and Southwest Florida International Airport. Once you enter The Preserve at Corkscrew, you’ll see why it’s such an amazing community. Surrounded by 700 acres of preserves and lakes and developed by Cameratta Properties, The Preserve at Corkscrew Estero features beautiful single-family homes built by Pulte Homes and Lennar Homes. Once complete, this community will consist of 441 homes. Reserve your lot and homesite now. Take a look at the video below to view some of the features and homes within The Preserve at Corkscrew Estero. Click the video below to begin your 2 cent tour. From a real estate perspective, The Preserve at Corkscrew Estero offers a wide variety of options for any lifestyle. Construction is underway on The Preserve at Corkscrew and 441 single-family homes will be surrounded by lush landscaping and pristine lakes once complete. Homes within this gated community range from the 200′s to $500′s, 2 to 5 bedrooms, 1,600 to 3,600 sq ft and 2 to 3 car garages. Model homes are now available to tour. Amenities at The Preserve at Corkscrew Estero are astonishing and HOA fees are roughly $200/month. Along with the gorgeous 8,000 sq ft clubhouse, The Preserve at Corkscrew features a fitness center, yoga and pilates studio, resort-style pool, tennis center, outdoor patio with fireplace and an activity room. If you are looking for a quaint residential neighborhood with a peaceful ambiance, The Preserve at Corkscrew Estero is a must see. Give us a call at 239-963-4811 or contact us directly via the form on our website to schedule a private tour of the community and see first hand why this new development in Estero is so exciting. View the Google Map below to get an idea for where The Preserve at Corkscrew is located within Estero, FL. On this 2 Cent Tour you will discover The Quarry Naples, a unique community located just 4 miles East of I-75 on Immokalee Road in North Naples. This convenient location is close to beaches and great shopping. Once you get in the gates of The Quarry, you’ll see why it’s such a great community. Surrounded by 830 acres of nature preserves and large lakes, The Quarry Naples is a true lakeside retreat with beautiful single-family homes and carriage homes. Take a look at the video below to view some of the features and homes within The Quarry Naples. Click the video below to begin your 2 cent tour. The Quarry Naples truly has one of the most beautiful settings in all of Southwest Florida. Residents enjoy all that The Golf Lodge, The Lake Lodge and Beach Club have to offer. The lakeside lifestyle at The Quarry Naples is reflected in the abundance of amenities that are available. The Golf Lodge features one of the best golf courses around. An 18-hole championship golf course designed by Hurdzan-Fry surrounds magnificent lakes, providing a beautiful scenic golfing experience for members and their guests. The Golf Lodge at The Quarry also offers formal and causal dining, a bar and grille, pro shop and billiards room. The Lake Lodge and Beach Club offers residents access to white sandy beaches along Stone Lake where many choose to dock their boats, rent boats, fish, swim and participate in a variety of water sports. The Lake Lodge also provides a lap pool, lagoon style pool and spa, sun decks, fitness center, 4 lighted tennis courts, locker rooms, spa services and retail shops. Residents may also dine at the indoor/outdoor bar and grille. If you are looking for a resort lifestyle in Southwest Florida, look no further than The Quarry Naples. You will be impressed by the ambience this prestigious community has to offer. Want to learn more about The Quarry Naples? Get your FREE MARKET REPORT today and find out if now is a good time to buy in The Quarry and much more! Or if you would like to schedule your personal tour of The Quarry, please call us at 239-963-4811 or contact us directly via the form on our website. View the Google Map below to get an idea for where The Quarry is located within Naples. This month we highlight Pelican Landing for many very obvious reasons. With one of the best geographic locations in all of Lee County, Pelican Landing presides over 2,365 pristine acres West of US 41 on Estero Bay and directly across from impressive Coconut Point Mall. The community’s amenities are nothing short of spectacular. Whether you enjoy kayaking, fishing, bocce ball, tennis, working out at the fitness center, or enjoying a relaxing day at the beach club, you can do it at Pelican Landing. And if golf is your thing, you can join Pelican Nest for 36 holes of Championship Tom Fazio designed golf. Even through a downturn in the real estate market, Pelican Landing has remained strong -so strong in fact – that the community just lowered the Master Association dues in 2012. If you are looking for stability in a community, you have found it. From a real estate perspective, Pelican Landing offers a wide variety of options for any lifestyle. The community offers options from condominium living starting in the high 100’s to estate homes over $2 million. The community also has an incredible demand for rentals. For example, I have recently helped clients purchase a condo in Pelican Landing who rent it out seasonally to not only cover their yearly costs, but also make money, then they can use their condo free and clear for the remainder of the year is they wish. They even commented on how they had to start turning people away, because they were receiving so many inquiries on the rental. Now, that is smart living! Take a look at the available properties within Pelican Landing below. On this 2 Cent Tour, you will get to know Botanica Lakes in Fort Myers. The community is located a near the airport and within a couple of miles of the coming Boston Red Sox Spring Training facility. Take a look at the video below to view some of the features and homes within Botanica Lakes. Click the video below to begin your 2 cent tour. Check out these amazing deals that are happening right now in Botanica Lakes. The listings below are up-to-date MLS Listings. 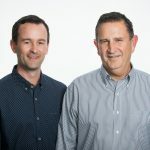 Click on any particular listing for more information and to schedule an appointment. To schedule an appointment to see any properties in Botanica Lakes of Fort Myers simply call 239-244-1340 or Contact Us directly via the form. View the Google Map below to get an idea for where Botanica Lakes is located within Fort Myers. On this 2 Cent Tour, you will find the beautiful community of Timber Ridge, located in the master development of Gateway. The community is just a couple of minutes from the airport and within a couple of miles of the coming Boston Red Sox Spring Training facility. Take a look at the video below to see some of the features and homes within Timber Ridge. Click the video below to begin your 2 cent tour. At the end of our 2 cent tours, we make sure that you get to see the best deal we find in the community. Our featured listing is a wonderful 3 bedroom, 3 bathroom home. You will find plenty of space in this 2,500+ home, not to mention the pristine pool out back. Listed at $199,900 this property is more than $80,000 less than it sold for in 2003. To schedule an appointment to see this or any other property in Timber Ridge simply call 239-244-1340 or Contact Us directly via the form. View the Google Map below to get an idea for where Timber Ridge is located within Fort Myers. Check out the Up-To-Date MLS Listings for Timber Ridge. Click on a property for more information. This 2 Cent Tour brings us to one of the most spectacular communities in Fort Myers, “Renaissance” located conveniently on Daniels Parkway and I-75, only 10 minutes from the Fort Myers airport. You will want to make sure you watch the entire video to see all of the amenities Renaissance has to offer. Click the video below to begin your 2 cent tour. If you have never visited Renaissance, you’ve never witnessed what Southwest Florida has to offer. Below you will find up-to-date active listings on the MLS. Click on any property to view more information and schedule an appointment, or you can simply call 239-963-4811. View the Google Map below to get an idea for where Renaissance is located within Fort Myers. This 2 Cent Tour brings us to a great community “Hampton Park” located in Gateway, only about 10 minutes from the Fort Myers airport. Hampton Park is a WCI community. Click the video below to begin your 2 cent tour. As typical in our 2 cent tours, we always give you the best deal we find in the community. Take a look at the deluxe executive home in beautiful Hampton Park in Gateway. This home features three bedrooms, two bathrooms and an oversize three car garage. As you enter the home you will notice twelve foot tray ceilings, diagonal tile throughout and granite counter tops and back splashes. There is a large Master bedroom and bathroom featuring dual sinks a separate shower and tub and custom tile. The generous lanai opens up to a large in-ground pool with private lake views. Hampton Park is conveniently located just ten minutes from Southwest International Airport, the FUTURE Boston Red Sox Mini Fenway spring training facility, and within the Gateway community and its many amenities. And the home is listed for $199,900. Can you believe that? Just a couple years ago it sold for above $600,000. This property is a foreclosure. Check out the pictures. As you can see it is absolutely stunning. For more information or to tour homes of Hampton Park in Fort Myers, please Contact Us or call 239-244-1340. View the Google Map below to get an idea for where Hampton Park is located within Fort Myers. View all available listings in Hampton Park Fort Myers below and click on a property for more information. This 2 Cent Tour brings us to a great community “Stoneybrook at Gateway” located in Fort Myers. Stoneybrook at Gateway is a Lennar community, a builder that is known for standing behind their homes. Click the video below to begin your 2 cent tour of Stoneybrook at Gateway. As typical in our 2 cent tours, we always give you you an example property for sale and what we consider the best deal we find in the community. Bring the whole family and spread out in this five bedroom plus a den, three bathroom, and two car garage home. This home has much to offer including a separate tub and shower in the master bath, walk in closet, a kitchen pantry, den, tile and wood flooring, a game room, and lots of room for a pool. It is conveniently located in family-friendly Stoneybrook in Gateway. All the recreation you desire is within the community and walking distance. It is close to major shopping malls, restaurants, and grocery stores and just minutes from Southwest Florida International airport, and the future home of the Boston Red Sox spring training facility. For more information or to tour homes of Stoneybrook at Gateway in Fort Myers, please Contact Us or call 239-494-5156. View the interactive Google Map below to get an idea for where Stoneybrook at Gateway is located within Fort Myers. This 2 cent tour brings us to one of the most beautiful communities Southwest Florida has to offer, Paseo in Fort Myers. We have to look no farther than about 10 minutes from the airport just off Daniels Parkway in Fort Myers. Paseo sits on 444 acres of land in prime location near the highway and airport. It boasts some of the best amenities in the entire country, including a 4,000 sqft workout facility, full size movie theater, ice cream parlor, pub, bistro, business center, and one of the best pools in Southwest Florida. Take a couple minutes to view the 2 cent tour below. Now that you’ve seen everything that Paseo has to offer, here are the current MLS listings for the community. Click on any single listing below to see more details of the property and schedule a showing appointment. If you would like a personal tour of Paseo, please Contact Us directly to set one up.